The people of Gulmarg are very proud of their culture, as they should be. This is visible all over the city, in the number of items that are sourced and made locally. In the markets, you will find sellers with their carts and stalls selling traditional clothing, locally made handicrafts, and local produce. Besides these sellers, you also have small shops that stock winter essentials such as hoodies, sweaters and shawls. Gulmarg is also famous for its slopes and skiing adventure centres. So, it’s obvious that you’ll find plenty of stores that rent skiing and trekking equipment. No one comes in to Gulmarg to shop, but we can assure you that you’ll find at least a couple of things you wouldn’t have seen elsewhere. Here are our top picks for the places to shop in Gulmarg. Is shopping expensive? Being a tourist hub, prices in Gulmarg can be a little more than in a city like Srinagar. Are markets conveniently located? Gulmarg is small and most shops are close to the meadow, so getting around should not be a problem. In the village and near the main mosque lies an old tailor’s shop. Owned by a Mr. Khan, the tailors here stitch fine-quality phirans (the traditional outfit for both men and women). The owner, who sources only the best cloth, will himself help you select it, and can give you the perfect fit. They’re up-to-date with the latest designs and colours. Most tourists who come to the hills will get themselves a phiran stitched. One of the first snowboard shops in Kashmir, this store is very popular for its skiing and trekking equipment. This is because it has the widest selection in all of Gulmarg. Of course, you may have no use for such items once your holiday is over, so it even offers these goods on rent. Get your pow boards, split boards, and beginner boards here. Located about 30 minutes away from Gulmarg, the Haji Akbar Cloth House sells a variety of clothing. If you don’t have the time to get a phiran stitched, here is where you could go. Here, you can shop for local as well as branded clothing. Some of these will make great gifts from friends and family back home. The store also sells a few home furnishing items like cushion covers and curtains. Situated about 40 minutes away from Gulmarg, Shabab Textiles is a wonderful store for clothing and textile. The store sells a variety of Kashmiri fabrics in different colours and textures. It also sells dress materials, safari suits, and other types of Indian clothing. The hub of all shopping activity in Gulmarg is the main market. Located in the centre of the city, you will find local sellers coming to the market with their wares every day of the week. And there’s something for everyone. From everyday staples to leather goods, you will find them all here. You will find fruit vendors selling apples in their carts, tea vendors from neighbouring areas making the trip to sell fresh tea leaves that have been plucked from gardens around Gulmarg. Kashmir is also one of the few places that still sells walnut handicrafts. You can find stools, chairs, and even small boxes carved with walnut wood-work. Other items of importance here are silk carpets, Tibetan handicrafts, winter clothing and leather goods. 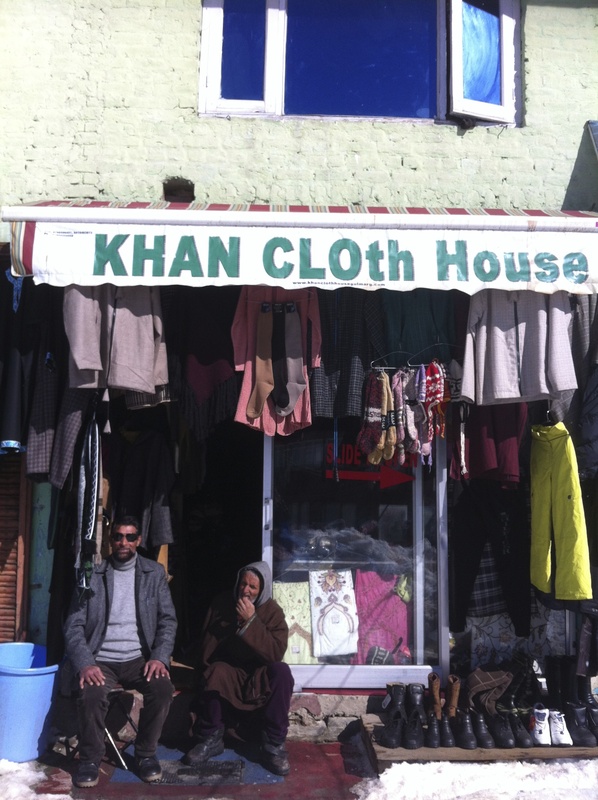 If you’re looking for westernised versions of phirans and shawls, you can find it at Khan Cloth House in Gulmarg. 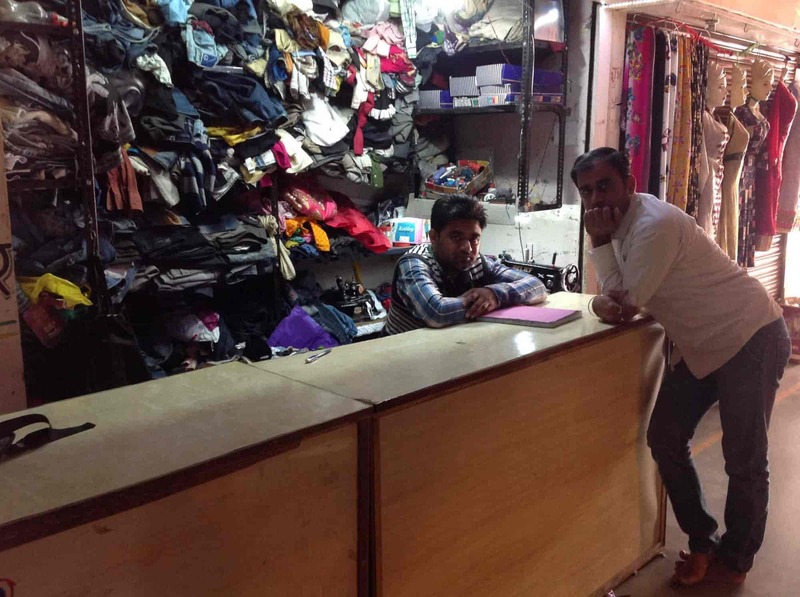 Located in the main market, it also sells readymade Kashmiri clothing. You also get shawls at this store. Mr. Khan, the owner, is very friendly and often treats his customers to a traditional cup of Kashmiri chai as they make their purchase. 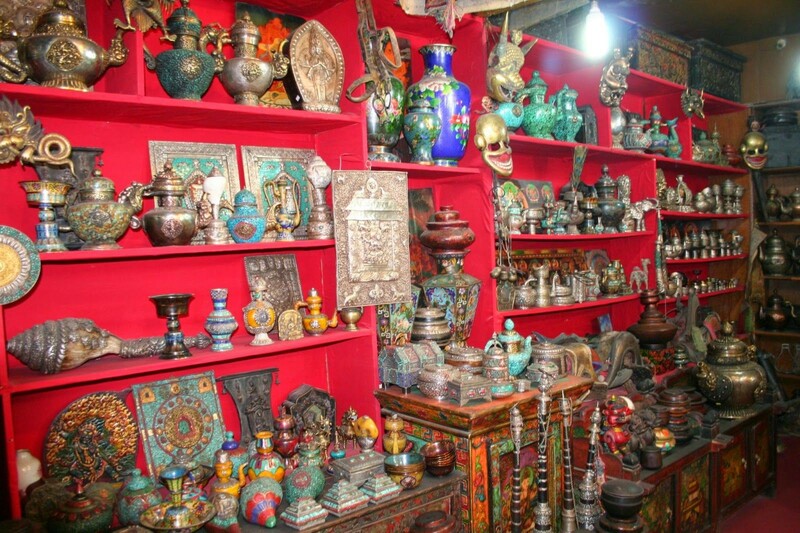 Housed inside the Highland Park complex, the Ladakh Art Palace is a good place to shop for small souvenirs, handicraft items, jewelry, and antiques. The prices are the store are fixed, so the shopkeeper doesn’t entertain bargaining. You can also find a small selection of clothing items inside the store. Faiz Shawls in Gulmarg sells a fine collection of shawls. Durable and soft, the shawls are made from a variety of materials (from wool to silk). At the store you can pick shawls by colors or design. The store also sells a few carpets and linen products. As with Ladakh Art Palace, Faiz Shawls is also in the Highland Park Complex. As we’ve mentioned above, Gulmarg is a tourist destination and most items you buy will not have a fixed price. Vendors expect you to find the right price for an item. Therefore, you’ll need to bargain hard. Some people do recommend taking a guide along just for shopping, as they know the local language as well as the market price. Alternately, find out prices at your hotel. These are some of the top spots to shop in Gulmarg. Hope you enjoyed our list!